We offer nail treatments of the highest quality for very reasonable prices - you don't find the same combination many other places. If you wish something special - this is the right place, our nail technician can do the most amazing nail art, most of the designs are handmade, for some others you can choose stickers with many different designs. 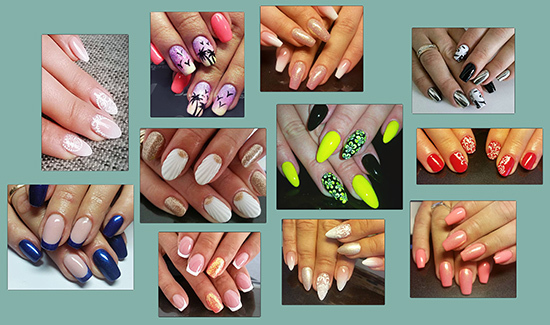 All manicures are with shaping and beautification of nails, care and shaping of cuticle, buffing and and oil.